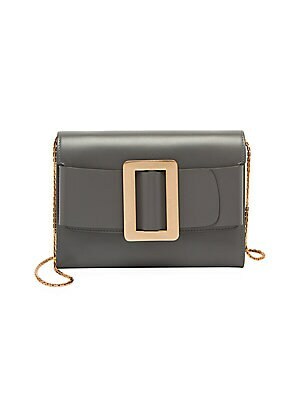 An ombré top handle and buckle are chic additions to this boxy bag. 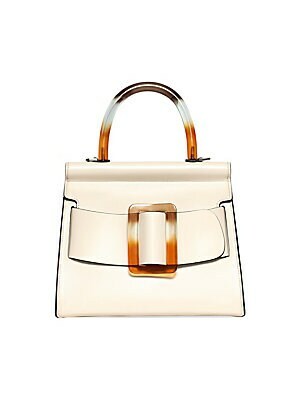 Top handle Flap top with buckle closure Lining: Calf suede Calf leather Imported SIZE 9.5"W x 11"H x 5"D. Handbags - Italian Designers. Boyy. Color: Chalk. 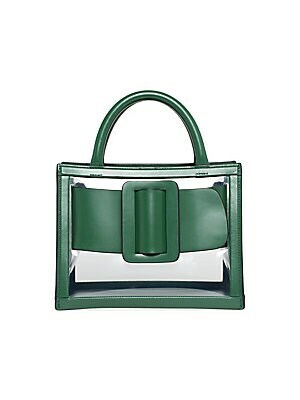 A wraparound buckle is a detail enhancing this smart leather-trimmed PVC bag. Removable, adjustable shoulder strap Dual top handles Open top PVC/calf leather/calf suede Imported SIZE 9"W x 7"H x 6"D. Handbags - Italian Designers. Boyy. Color: Leaf. ONLY AT SAKS. 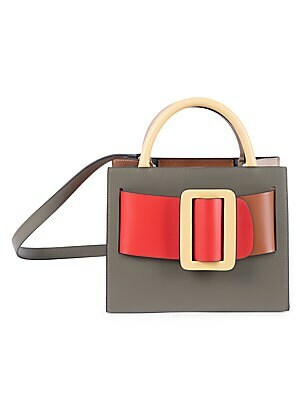 Smooth leather top handle flaunts a chunky colorblocked buckled design. Double top handles Open top with hook clasp Silvertone hardware One interior zip pocket Suede lining Leather Imported SIZE Removable, adjustable shoulder strap, 38"-42"